Who is Chantel Jeffries dating? Many famous men have dated Instagram model Chantel Jeffries, and this list will give you more details about these lucky dudes. Including Chantel Jeffries’s current boyfriend, past relationships, pictures together, and dating rumors, this comprehensive dating history tells you everything you need to know about Chantel Jeffries’s love life. This list features Chantel Jeffries’s ex-boyfriends along with additional information about them, such as when they were born and what they do professionally. These boys come in all shapes and sizes, but what they all have in common is that they're all men that Chantel Jeffries has either dated or linked up with. It's not hard to get jealous of these men that Chantel Jeffries has gone out with, so try your hardest to contain your envy. This list of Chantel Jeffries’s boyfriends and exes includes Justin Bieber, Kyrie Irving, Travis Scott, DeSean Jackson, and Justin Combs. Logan Paul reportedly got with model Chantel Jeffries in November 2017. #18 on Who's Your Favorite CloutGang Member? Chantel Jeffries and Wilmer Valderrama allegedly went on a few dates together in July 2017. Chantel Jeffries and NBA player Kyrie Irving dated from March to August 2016. 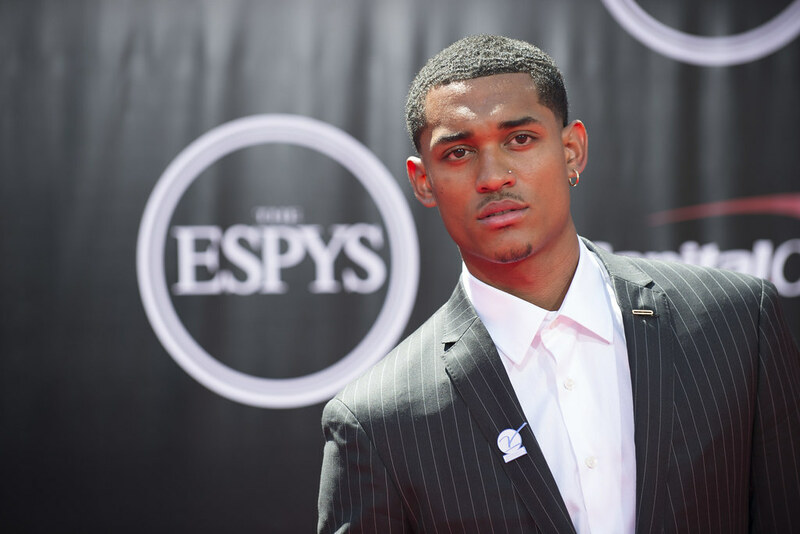 NBA player Jordan Clarkson and Chantel Jeffries dated from January to March 2016. #8 on Who Will Be The 2019 NBA Sixth Man Of The Year?